Living out away from the hustle and bustle, Mira leads a lovely teen life. She gets to move around the island with freedom, she knows who her friends are, and she has grown up with a community of engaging and important characters around her. No one could predict how a superstorm would change island life, living, and community, least of all unassuming Mira. 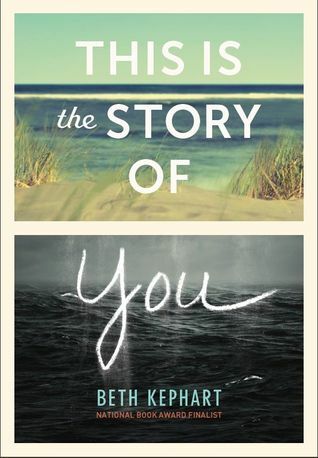 Kephart is a gifted writer, and this story of survival, searching, and standing true within oneself is a perfect example of a coming-of-age story. The soul searching, trust growing, and risk taking involved in This is the Story of You holds relentlessly onto the power of possibilities, especially when one least expects it. I loved this story, and my mind created many images of what each day and night brought. Props to Beth Kephart, for dreaming up the story and writing it in a way that I found powerful and important.